First time attendees are coming, and they are excited to expand their resources through networking, doctors, and support. The Family Meeting in Indianapolis is shaping up to be one of our best yet! Our 11th meeting in 18 years is scheduled for July 15th-17th 2016 in Indianapolis; one of the most walk-able cities in the country. 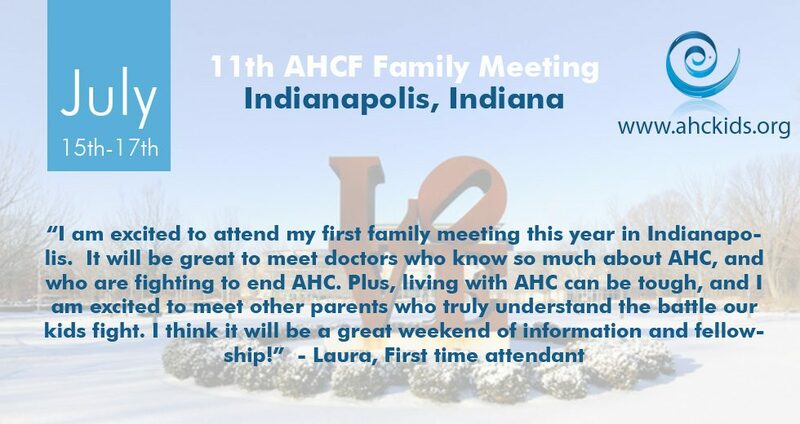 Register for your spot in the family meeting, and have access to over 20 AHC experts in one place!